I’m grateful for this new review of A World Transformed at the Canadian Theological Review. This is a meaty one; the reviewer, Matthew Forrest Lowe, takes us through the book chapter by chapter. I appreciated such a careful reading. If you’ve ever wondered what’s in my book, this review is a great way to find out! Thankfully, Lisa Deam’s book is really and truly accessible: it’s a genuine pleasure to read, a skillfully laid path that engages our minds and our spirits with each inviting step. From the outset, Deam is winsomely honest about her own surprising journey, initially inspired by undergraduate encounters with medieval art. ‘I loved the way that medieval artists saw their world: with creativity and in intimate connection with the creator. 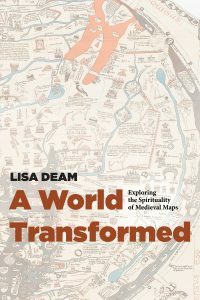 It became the way I see my own world, or the way I try to see it’; in particular, the seven-hundred-year-old Hereford Map ‘transformed not only the course of my scholarly career but also my journey with God’ (1). 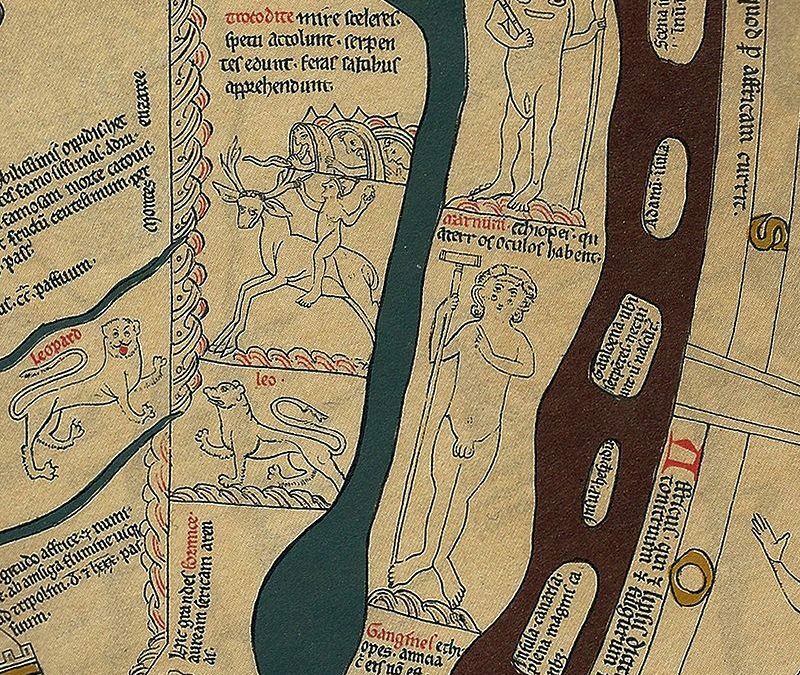 As the book unfolds, the challenge Deam faces is that of persuading us that this and other medieval maps can offer us similar guidance on our own journeys. Throughout the book, readers will benefit from illustrations taken from the maps in question, as well as from sets of ‘Reflections and Practices’ at the conclusion of each chapter. These exercises are well-chosen, pushing us just enough into new territory, as it were, to challenge us to grow. [T]he book as a whole remains a marvellously reorienting read, supplying insights for mind and soul on nearly every page. As Deam says, in dialogue with Augustine, ‘No person lies beyond [God’s] reach. God redeems the edge, making it a place of miracles as well as monsters’ (55). Lowe seems to especially appreciate the maps’ definition of Christ as monster-defeater. 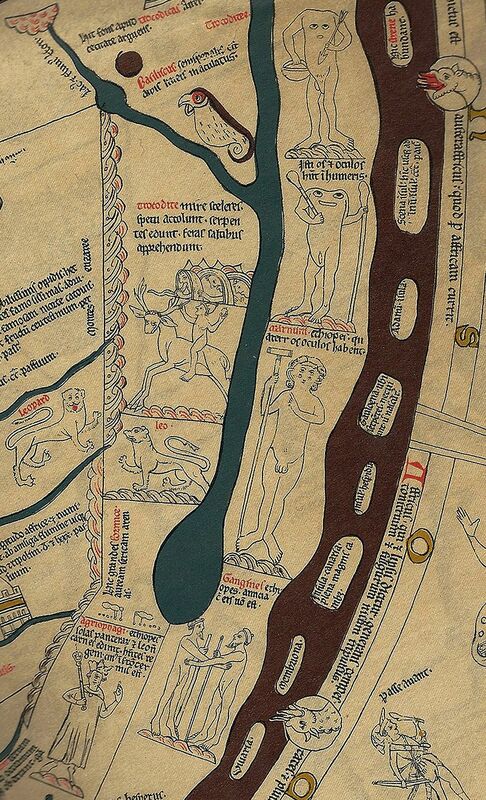 This is an aspect of medieval maps that I love, too. So I’ll leave you with a question: how has Jesus defeated the monsters in your life? *To read the entire review, scroll down to page 9 in the link provided. Lisa’s book, A World Transformed: Exploring the Spirituality of Medieval Maps, is on sale (Kindle version) for $2.99 for a limited time. Check it out and share the news!